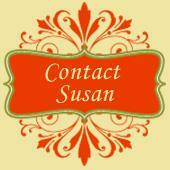 Susan Brand The key to selling your home! Susan Immelman Brand is your premier Real Estate Consultant in Dubai, United Arab Emirates (UAE). The focus for Susan and GC Homes is to find the best home for their clients - meeting their needs precisely with the ideal property in the perfect location. Susan’s knowledge of the Dubai real estate market is vast and unsurpassed. Her experience will immediately enhance your confidence during a potentially demanding time – when you are buying or selling a home. Susan and GC Homes Real Estate Broker cater to all sectors of the real estate market in Dubai with specific expertise in the Green Community Property Developments that encompass - Green Community and Green Community West Dubai, Green Community villas Dubai, Green Community Townhouses Dubai, Green Community Family Villas Dubai, and Green Community Bungalows Dubai. Whether you are looking to Buy a Luxury Villa or Rent a Bungalow, Susan and GC Homes Real Estate Broker will assist you in your home search. This website has been custom designed to make your property search efficient and functional while providing you with the detailed information required to complete your real estate transaction successfully. Our assistance will be invaluable as you pursue the home of your dreams in Dubai - the fastest growing city in the world and perhaps the most beautiful location in the Middle East. The professional real estate consultants at GC Homes will stand with you during the entire process. Buying, selling or renting a home in Dubai, UAE, could prove challenging for potential clients relocating to this beautiful city; or for someone focused on his or her own professional business priorities. You want skilled real estate consultants with experience in the UAE/Dubai housing market and a successful record of accomplishment confirmed by numerous satisfied clients – Susan Immelman Brand is that real estate consultant and GC Homes Real Estate Broker is that company. We know you will be pleased when you collaborate with us in your upcoming real estate endeavor. It is a privilege for us to have the opportunity to prove our value to you as real estate professionals. We look forward to taking your call at anytime.